Profit from the currency of the digital age like Bitcoin, Ethereum and more. Are you positioned for the future? 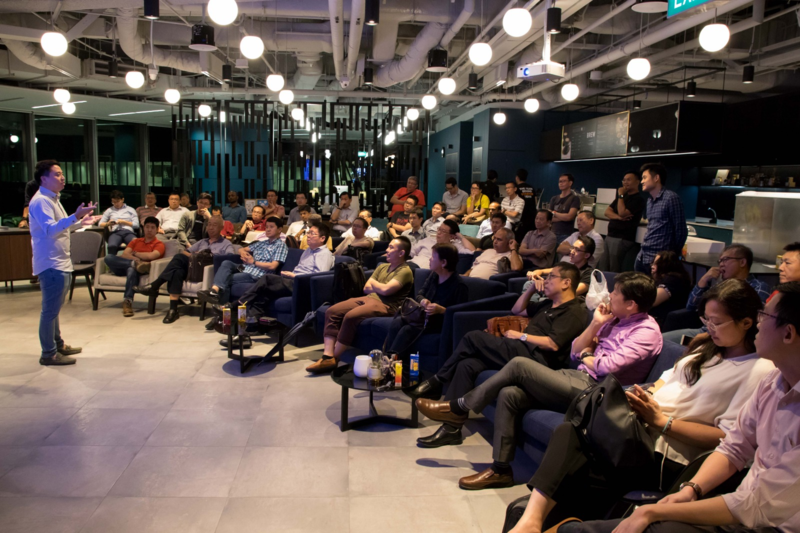 We focus on building the cryptocurrency ecosystem in Singapore and enthusiasts, developers, exchange owners, miners, investors and traders all together to thrive and profit together. In this 3 hours, understand the basics of Bitcoin and Blockchain technology, and how you can profit from it! Learn the art and science of coin staking and how it can become an essential part of your investment portfolio. Go in depth to learn profit strategies in the cryptocurrency world. 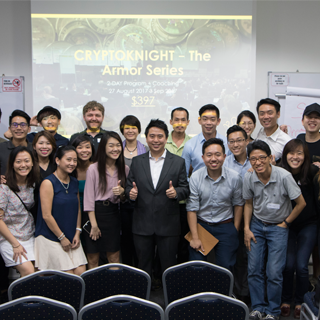 Attend the 2-Day CryptoKnight Armor Series! Learn about the art and science behind the POW mining. Build passive income streams from mining rigs and reap bountiful rewards. Want a TED-style talk on CryptoCurrencies? Looking for a 60 or 90 min talk on Bitcoin and related topics? Download and use a trading bot that is able to give you up to 15% a month with a little or no risk. "Chris made it easy to kick start trading on Crypto. Highly recommended for those who wants to start but do not know how to. Most importantly, its the community that he has setup for everyone to share their thoughts and trades." "I was totally new to Cryptocurrencies when I met Chris. But his patience and guidance helped me to set up my account and helped me buy my first BitCoin. In fact, I managed to profit 100% in just the 3 weeks. I highly recommend Chris." "Chris course is a great way to learn about the nuts and bolts in starting the currencies investment journey! He will cover the basics from exchanges/hardware and also strategies. Another great thing is that you will be joining a community who are always helpful to share ideas and help." "Doesn't matter how much you know... you will still learn alot from Chris. He has a way of simplifying things. The more you know, the more you want to know more... and besides meeting people there who have dedicated most of their time in crypto is gold!!!" "It is an interesting course and definitely beneficial to those who do not know about Cryptocurrency. Chris is a very knowledgeable Cryptocurrency Trader. He is very patient to help everyone in the class and share everything what he knows. It is simply awesome!" "This is a very good course conducted by Chris Long. Throughout the two days I have learned so much about cryptocurrencies and how to trade in it. The pitfalls on what to avoid. This course helps me to place cryptocurrencies as part of my investment portfolio." Click here to read more 80 more authentic reviews about CryptoTrader on Facebook! message here and we will reach out to you! ecosystem to help people profit from the future of money.